My friend Emily ran the New York City Marathon today. As far as I know, she is my first friend to run a marathon. 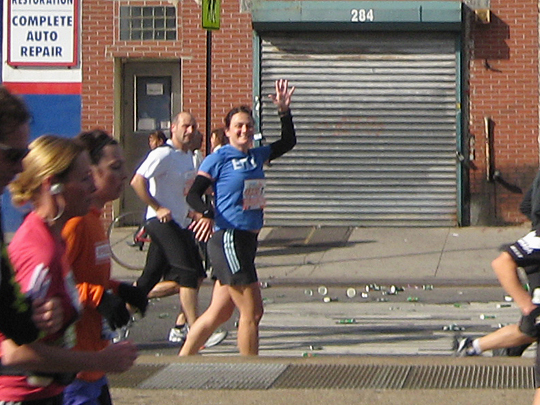 It was my first time watching any marathon in person; I went up to Sarah and Jeremy’s new apartment in Park Slope to watch her go by. It was a ton of fun, and something I want to repeat next year. I also took some poorly composed video of the marathon before Emily came by. Other magazine notes… Go Obama!